SARA K Digital presents an exclusive evening of celebrating, empowering and supporting businessman and women starting and growing their business. Whether you're a businesswoman (or man), female entrepreneur growing your brand or individual thinking of leaving full-time work to start a business we are here with a unique seminar to support you on your journey. In association with WeWork, we are hosting a special evening dedicated to helping you to break those barriers and start or grow your business with the expert knowledge and practical actions. My expert speakers and I know what it's like to struggle, want to make a profit from your passion and not have any help. When you try to search for help it's too expensive and you can't guarantee it will be run by experts. We were lucky to find each other along the way but many don't, so we wanted to share a gift with you to start and grow your business with our expert knowledge, so you don't go through what we did. We've witnessed how expert business, marketing and sales knowledge comes at a hefty cost. Unless you have contacts or thousands of pounds, starting and growing a business is near enough impossible and a scary thought. That's why I left my city job working with global brands and today I support those who don't have £10,000 to start and grow their businesses to become the Apple of their niche and that's exactly what we are going to work on in the Get Powerful, Purposeful and Paid seminar. We understand most extraordinary individuals, like you, sabotage themselves in all areas of our lives, from our careers, business and end up giving up. Although there is a way to break the pattern and negative patterns by fighting self-sabotage behaviour in your life and that's where my handpicked leading experts, Wajeeha Amin, Abdul Shakur and I come in to help you, let yourself grow, get powerful, purposeful and paid. As an Award-Winning Qualified Marketing Specialist and Business Mentor. You may not have heard of me before, as for the last decade I’ve been behind the scenes working in marketing, digital and PR agencies making some of the biggest brands in the world look good, from Maserati, Boots, VW, Audi, House of Fraser to BBC. With over 15 years experience, I specialise in marketing online. My career has involved delivering digital marketing training programs to corporates, to supporting global brands to break through in the UK to hands-on implementation of social media advertising to managing bespoke marketing campaigns for companies such as VW Group. More recently, I’ve supported men and women from all over the world from, Architects, Corporate Directors, Vice President, CEOs, Surgeons to Designers, who work for Google, Amazon, Gucci, Deutsche Bank, Vivienne Westwood, Bank of America Merrill Lynch, DKNY, Kurt Geiger and BBC to mention a few. After noticing business experts and marketing experts not offering affordable sessions or services, I left my city job to live a purposeful life saving struggling startups and supporting businessmen and women thrive. Today I run a boutique Marketing Agency and consultancy firm, where I take the stress out of social media, the fear out of failure and support you to transform your business into the Apple of its niche confidently. With a uniquely designed marketing segment dedicated to making sure you get paid for your passion, I share my secrets to creating a profitable business with £0 marketing budget in the seminar. She's a Qualified Therapist, Mentor and Coach, specialising in unlocking our full potential. She's trained from Harley Street with qualifications in Psychotherapy, Hypnotherapy and Relationship Coaching. 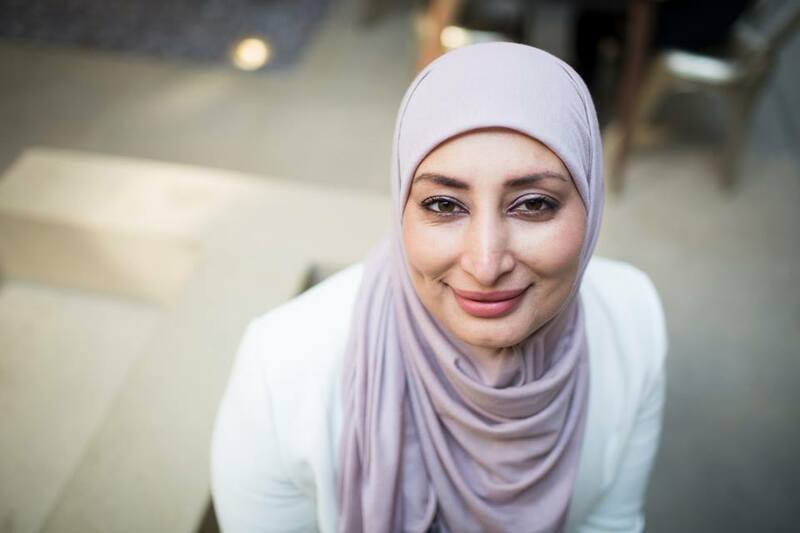 Wajeeha's been featured on BBC, eHarmony giving expert relationship advice and ran communications and management workshops for PriceWaterhouseCoopers (PWC) and EDF Energy, whilst running her own business. She's an expert on how to re-wire your brain to thrive, not just survive and gain back your confidence, certainty and your self-acceptance. In the thought-provoking session exclusively tailored for us, Wajeeha will lead you on a special journey of deep and powerful exercises to identify self-sabotage. And how to practically overcome it and get you closer, than ever, to make your vision a reality. She will support you to stop overthinking, minimizing, compromising, avoiding, overanalysing, generalising, over pleasing, victimising and over controlling. Ultimately, I empower you by giving you the tools to eliminate destructive processes and start living a purposeful life. Abdul is an Award-Winning expert in turning your passion into a profitable business, he's a leading expert in social media selling for over 8 years. He's pitched and won contracts with Sony Mobile, Natwest, Zoho and Santander worth over six figures in sales. Abdul turned his life around, from being homeless to helping his clients earn £3000 a month from their side passion. At 24, Abdul was awarded several accolades, including the top 20 most powerful young entrepreneurs in the world. He has built active 5000+ entrepreneurs community in over 7 cities and 3 countries. His purpose is to provide the skills, tools and resources so everyone can make the most of out of every opportunity in life and business. Today he runs his social media agency and academy, Etica helping businesses build profitable communities and transform sales professionals into social selling leaders. We've supported women in over 12 countries and all different industries, from architects, corporate directors, CEOs, surgeons to handbag designers, small businesses to startups from Google, Amazon, Vivienne Westwood, DKNY, House of CB, BBC, and Warehouse to mention a few. All the women came to grow their confidence, do something purposeful and be paid for doing what they love. And not forgetting, be a part of a community that allows them to flourish and support them to make their vision into a profitable business. Don't procrastinate, it's rare you get an opportunity for an event like this that could transform your business, so book your place today. My team, Wajeeha, Abdul and I genuinely look forward to personally welcoming you and supporting you on your journey.